Travel can be both exciting and intimidating for women travellers, given the extra attention we get no matter where we are. So, whether it’s the first time you’re travelling with your group of girls or your annual solo trip, it’s always a good bet to visit destinations where you don’t have to fret much over safety. Ranked higher than the United States and South Africa in the Global Peace Index, Vietnam is easily one of the top Asian destinations for female travellers. Apart from the natural scenic splendour, Vietnam is also known for its helpful and friendly people.Indulge in some lip smackingly delicious street food in the Binh Tay market or the Ben Thanh markets, go shopping at the fashion boutiques in Dong Khoi street, visit the quaint museums and spend sometime at the botanical gardens. When the sun goes down, the area around the Cathedral of Notre Dame and the roundabout of Turtle Lake is buzzling with great food and activity. For a quieter yet memorable evening, head out to Phu My Hung and Starlight Bridge. Love craft? The An Dong Craft Market has some beautiful lacquer and woodwork handicrafts from skilled traditional artisans for your home. 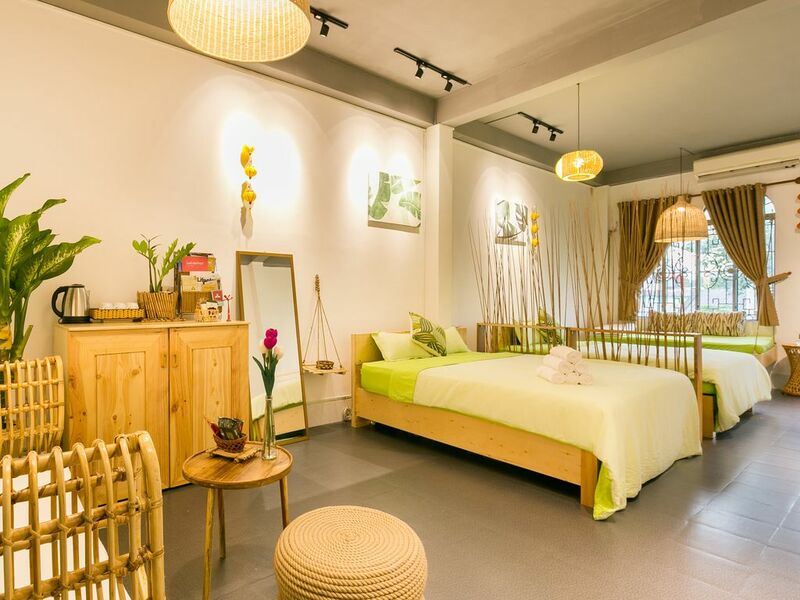 This beautifully decorated room located right in the heart of Saigon makes a great base for your group of friends. It is within walking distance from several attractions such as: Ben Thanh Market, Bui Vien and Nguyen Hue walking street and the Bitexco Financial Tower. The Tan Son Nhat International Airport is only about 30 minutes away. Hang out at a local bar, explore historic legacies, enjoy your favorite books lounging on our breezy balcony or just enjoy a brilliant sunset view of the city from our roof deck. Kyoto, in Japan has a number of tourist spots that are ideal for women travellers. Rated as the safest country in the world, most of the cities and towns of Japan are very safe and easy to commute. The Hankyū and Keihan line commuter trains in Kyoto have pink women-only cars for extra safety from groping during busy times. From visiting some of the oldest Buddhist shrines of Japan and performing the traditional rituals there, to posing at the popular Nijo Castle in colourful kimonos, there’s much to do with your girlfriends in Kyoto. Take a bicycle tour or book a class for Japanese language, ikebana, calligraphy (shodo) or the tea ceremony at The Kyoto International Community House. This is a great place to meet and interact with local Kyoto women. Beautiful artistically decorated tatami room overlooking a Zen garden. 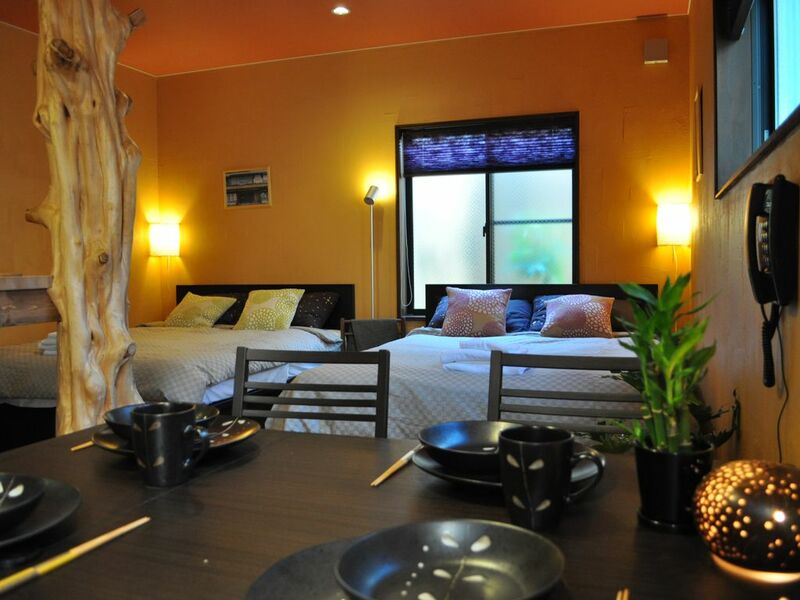 You will have the convenience of a hotel or Ryokan with the privacy of a house rental. Whip up a meal in the kitchen, take care of laundry and take a hot bath. Simply walk to the Gion district shops or subway. There are many nearby cafes and restaurants where you can hang out. As per recent statistics, Singapore is considered to be the 2nd safest city in the world, making it that much more attractive for us women. The city is virtually free of all crime and there are strict punishments for all illegal activities. Whether you’d like to take selfies at the Gardens by the Bay, shop till you drop at Orchard Road, let your hair down at Clark Quay or walk down the cobbled roads of China town, there’s nothing off the map for women in Singapore. Being a cosmopolitan city, you’ll find people from varied backgrounds here, so making some new friends should also be a cake walk. Luxurious 1650sq.ft. apartment with 2 bedrooms, 2 bathrooms, 2 large balconies in a serene, peaceful, quiet neighborhood. Great facilities, open spaces and greenery. Relax in the swimming pool, cook together in the kitchen or hop on to the shuttle bus to explore the city. Being one of the best cities to live in the world, there’s no doubt that Hong Kong has some of the most superior safety measures in place. The city is so well-planned and connected that transportation is easily available at all times. From the buses, metered taxis to the extensive subway, there’s almost no way to get lost in the city, even with the language barrier. You can find fun activities for all your girlfriends here. From going clubbing in the terrace clubs of Hong Kong city to trekking in the nature infused outskirts with absolutely no trouble, there’s something for everyone to do. However, the countryside tends to get quiet and abandoned by late evening, if you plan to visit the quieter locations, it’s best to reach the city by sun-down. 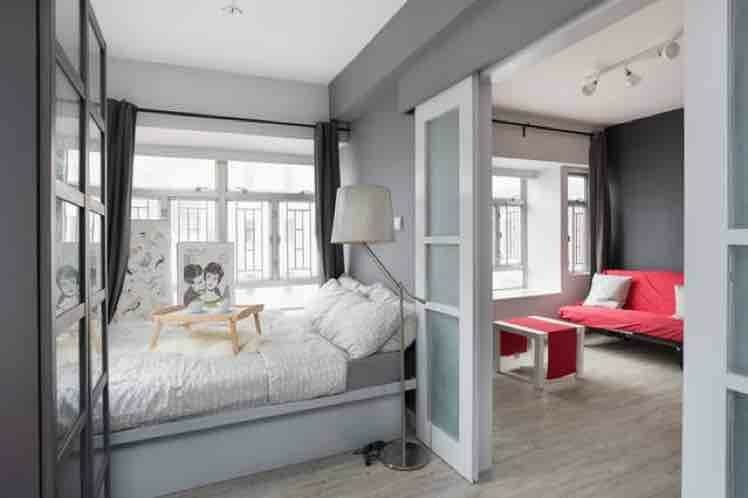 This cozy, comfortable apartment is centrally located on a quiet street, just a few blocks from HK university and Subway line. Stay in the thick of all the action! 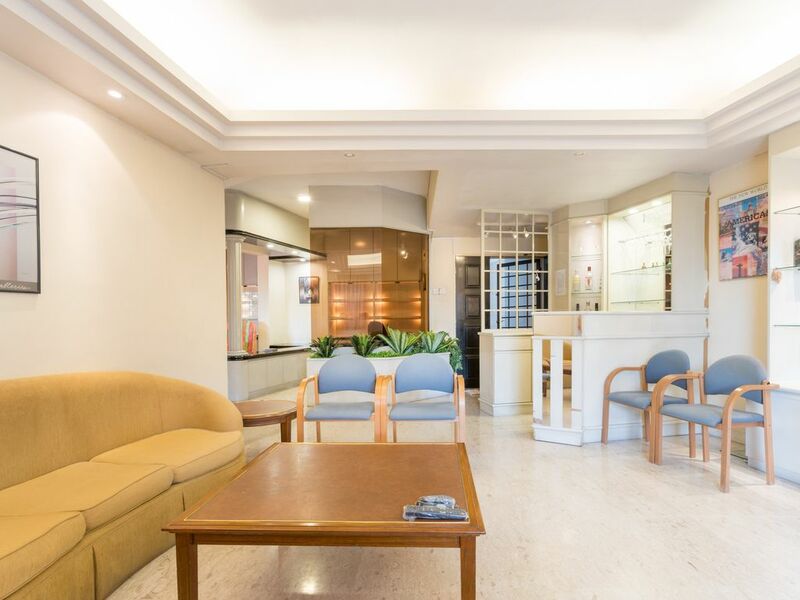 Only 1 block to Sai Ying Pun MTR Station and a few minutes ride to Macau Ferry Terminal, Airport Express HK Station and International Finance Centre (IFC). The building has a doorman and an elevator. Bali is a great destination that packs a variety of experiences. Whether you’re looking to unwind with your friends on the beach beds or party through the night at the several night clubs, Bali is hands-down a girl’s dream destination. There’s also plenty to do here during the days. You can explore the wild green Monkey forest in Ubud or visit the Pura Taman Saraswati Temple, detox your mind and body with Yoga or just soak in the Sun and sand with your group of girls. 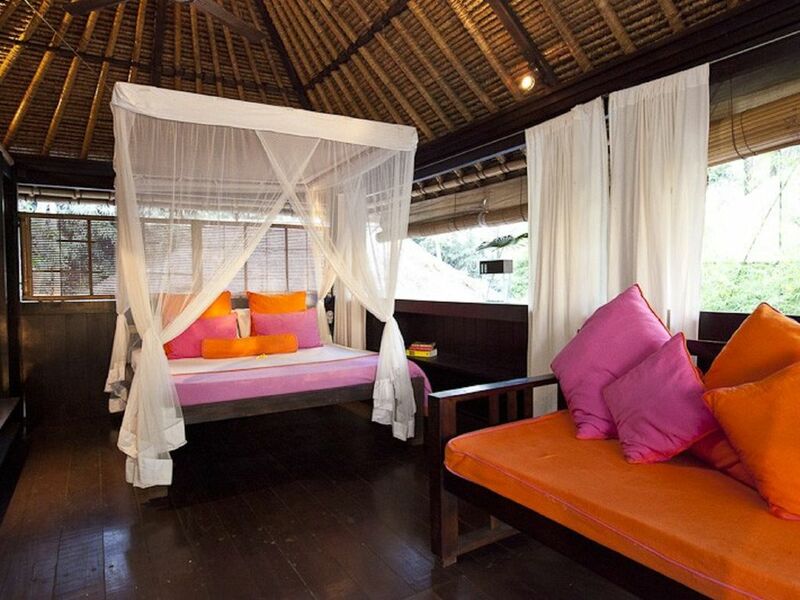 A gorgeous little Balinese-style wooden house, full of character with comfortable beds, spacious feel and lots of seating/dining areas, plus open air bathrooms. Enjoy a shower under the beautiful Ubud sky surrounded by bamboo and coconut trees or relax by the pool with great paddy views. The villa comes with its own staff. While these destinations are not high on crime and are relatively safe, take the normal precautions you would in your home country. And keep traveling with the girls!